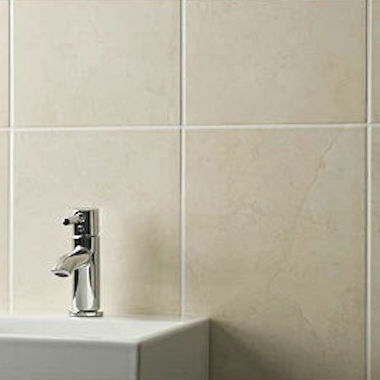 Glossy marble effect ceramic wall tile. Use on its own in multiple styles e.g. portrait or landscape, or use with decors in glass or mosaic tiles to achieve quality at a affordable price.